What do hurricanes, droughts, tornadoes, and floods have to do with the polar regions? When we think of the poles, we imagine snow storms and cold temperatures. But there is much to learn about polar climates and how fluctuations in planetary conditions are often first noticed in these extreme locations. It turns out that the poles (especially Antarctica) are actually very dry. It rarely snows because the temperature is too cold. But when it does snow, it stays around – for centuries. Blizzards are common in Antarctica because nothing holds the powdery snow in place. There are no trees. No rocks. Just a flat, cold, windy desert. As our planet warms, ice at the poles melts. This changes the temperature, depth, and direction of ocean currents, which in turn changes weather and climate around the world. Scientists thus look to the polar regions first to understand the impacts of global warming on our planet. This month, your students will get a taste of meteorology – how to observe and study the weather and describe long-term weather patterns (climate). We’ve divided the bookshelf into five sections: Weather and Climate, Polar Weather and Climate, Snow and Winter Weather, Climate Change, and, of course, Penguins and Polar Bears. We’ve also included links to related lessons or articles from Beyond Penguins and Polar Bears. What Will the Weather Be? Lynda DeWitt. 1991. Nonfiction book. Recommended ages: Grades K-3. 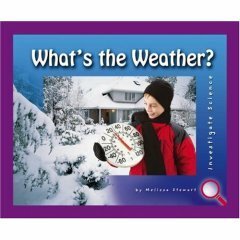 With informative text and colorful pictures, this book explains the science of meteorology, warm and cold fronts, weather instruments, and the difficulties of predicting the weather. It complements the General Weather and Climate lessons in the Science and Literacy Lessons and Activities article in this issue. The Cloud Book. Tomie de Paola. 1975. Nonfiction book. Recommended ages: Grades K-5. This book introduces the types of clouds, typical weather associated with clouds, and weather-related stories and sayings. For older students, this book can be used in association with the ReadWriteThink lesson Weather Detectives: Questioning the Fact and Folklore of Weather Sayings. What’s the Weather? Melissa Stewart. 2005. Nonfiction book. Recommended ages: Grades 2-5. Bright photographs and simple concepts urge children to explore weather through observation. Use in conjunction with General Weather and Climate lesson plans in the Science and Literacy Lessons and Activities article. Boldface words and a glossary provide opportunities for vocabulary development. Climates. Theresa Jarosz Alberti. 2005. Nonfiction book. Recommended ages: Grades 2-5. This book showcases Earth’s diverse climates and will help children compare and contrast polar and boreal climates with those in tropical, subtropical, temperate, mountain and desert climates. Use this book with the Comparing/Contrasting Weather and Climate lessons in the Science and Literacy Lessons and Activities article. Hands-On Projects About Weather and Climate. Krista West. 2002. Nonfiction book. Recommended ages: Grades 2-5. Students can learn about weather by creating simple barometers, anemometers, and rain gauges. Directions for activities are supported with photographs – budding scientists will learn much from this hands-on approach. 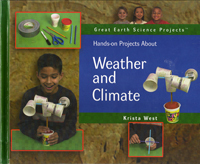 Use this book with the General Weather and Climate lessons and activities found in the Science and Literacy Lessons and Activities article. 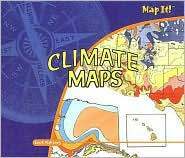 Climate Maps. Ian F. Mahaney. 2007. Nonfiction book. Recommended ages: Grades 3-5. Maps aren’t just for representing cities, countries and landforms! Maps can also show us where average temperature and rainfall create distinct climates. Students will learn map terminology and how climate maps can be useful for both farmers and scientists. This book is a perfect complement to the lesson Creative Climates from the National Geographic Xpeditions web site. Meteorologists. Heather Hammonds. 2004. Nonfiction book. Recommended ages: Grades 3-5. 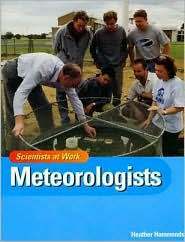 In this book, students learn about the history, science, and career of meteorology. 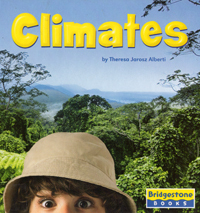 This book complements the General Weather and Climate lessons and activities found in the Science and Literacy Lessons and Activities article. Recess at 20 Below. Cindy Lou Aillaud. 2005. Nonfiction book. Recommended ages: Grades K-5. 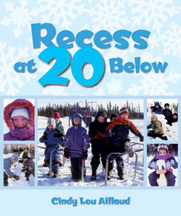 In Delta Junction, Alaska, it is recess (and school) as usual at 20 below zero. Join real students as they trudge to school in the dark, bundle up for snowy fun, and share what it is like to live in a cold and beautiful place. Written and photographed by an Alaskan educator, this book will intrigue students and adults alike. North Pole, South Pole. Nancy Smiler Levinson. 2002. Nonfiction book. Recommended ages: Grades 2-4. An easy reader explains basic weather at the poles – no rain, dry and windy – and how people and animals survive. 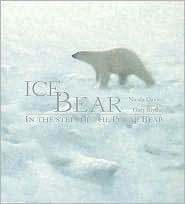 This book complements a study of polar weather suggested in the Science and Literacy Lessons and Activities article. Survivor’s Science at the Polar Regions. Peter D. Riley. 2005. Nonfiction book. Recommended ages: Grades 3-5. This book compares and contrasts the polar regions in terms of weather; clothes you would need to wear; plants and animals; ice, water, and snow; traveling in these regions; and seasons. Each topic includes a hands-on activity suitable for use in a classroom or as at-home enrichment. The book includes a glossary and an index. While these books do not relate directly to the polar regions, they can be used as an introduction to snow and winter weather for students of all ages. Names for Snow. Judi K. Beach. 2003. Picture book. Recommended ages: K-1. 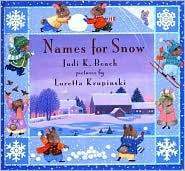 When a young mouse asks her mother what snow is, her mother uses several words to describe it. Good for building vocabulary and descriptive skills. Stella, Queen of the Snow. Marie-Louise Gay. 2000. Picture book. Recommended ages: K-2. Sam is a very curious little boy with lots of questions for his big sis, Stella – who sometimes knows the answers, even if she needs to make them up. A fun springboard for discussing the real facts about what polar bears eat (Do they really eat snow?) and what happens to frogs under a frozen pond. A Cold Snap! 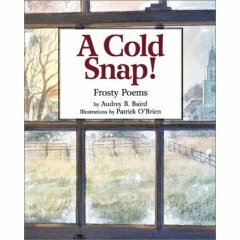 Frosty Poems. Audrey B. Baird. 2002. Poetry book. Recommended ages: Grades 3-5. Poetry artistically describes winter weather from the Alberta Clippers whipping up the water on the Great Lakes to the breath clouds hanging in the air at a bus stop. You’ll want to wear a hat and mittens before cracking the cover of this book. Why Are the Ice Caps Melting? The Dangers of Global Warming. Anne Rockwell. 2006. Nonfiction book. Recommended ages: Grades 2-5. 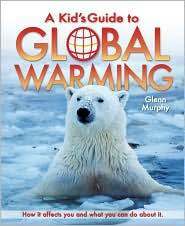 This book explains the science behind global warming and provides local examples to help students understand this complex subject. While the book emphasizes the serious nature of global warming, it does focus on simple actions students can do to promote change. 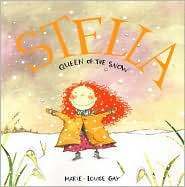 A read-aloud for younger grades and independent reading for older students. 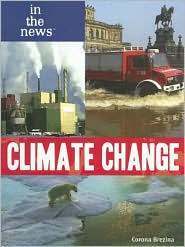 Use this book in conjunction with the lessons on Climate Change in the Science and Literacy Lessons and Activities article of this issue. Hands-On Projects About Weather and Climate. Krista West. 2002. Nonfiction book. Recommended ages: Grades 2-5. In addition to weather activities, there are also activities to encourage students to create their own climate timelines and ice core samples and study tree rings to learn about climate change. Directions for activities are supported with photographs. Budding scientists will learn much from this hands-on approach. Use this book in conjunction with the lessons on Climate Change in the Science and Literacy Lessons and Activities article of this issue. A Kid’s Guide to Global Warming. Glenn Murphy. 2008. Nonfiction book. Recommended ages: Grades 3-5. Students will be engaged by this book’s full-color photographs, short, informational text, and compelling subject matter. This book is organized like an encyclopedia, answering the questions: What is global warming? What does it mean for us? What are we doing? and What can you do? This book is suitable for inclusion at a learning center or for studying the headings and structure of informational text. Use this book in conjunction with the lessons on Climate Change in the Science and Literacy Lessons and Activities article of this issue. Climate Change. Corona Brezina. 2008. Nonfiction book. Recommended ages: Grades 4-5. This compact resource explains the difference between weather and climate, and how climates change over time. Topics include ice cores, greenhouse gases, and the effects of warming on the planet. Dense, expository text makes this most suitable for advanced students needing greater challenge and individual reading. Use this book in conjunction with the lessons on Climate Change in the Science and Literacy Lessons and Activities article of this issue. Penguins and Their Chicks. Margaret Hall. 2004. Nonfiction book. Recommended ages: Grades K-2. 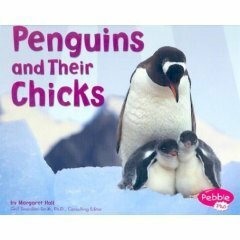 Large, bright photographs and simple text explain basic facts about penguins in general. Different species are shown, but not named. Good for sharing with a large group at the beginning of a unit of study. The section “Watch Penguins Grow” uses full-color photographs to introduce the concept of life cycles and timelines. Ice Bear: In the Steps of the Polar Bear. Nicola Davies. 2005. Picture book. Recommended ages: Grades K-5. Exquisite oil paintings accompany simple text that describes polar bears and their adaptations – small ears close to their heads and out of the wind, fur coats four fingers thick, adults weighing more than two lions. The book’s size makes it perfect for sharing with a group. In addition to developing science knowledge, the book could be a springboard for an art project in watercolor or in oil pastels. This article was written by Kate Hastings and Jessica Fries-Gaither. For more information, see the Contributors page. Email Jessica at beyondpenguins@msteacher.org. Copyright June 2008 – The Ohio State University. This material is based upon work supported by the National Science Foundation under Grant No. 0733024. Any opinions, findings, and conclusions or recommendations expressed in this material are those of the author(s) and do not necessarily reflect the views of the National Science Foundation. This work is licensed under an Attribution-ShareAlike 3.0 Unported Creative Commons license.